Our DNV Offshore Mud Cuttings Skips are expertly built to withstand the rigours presented to them at sea. 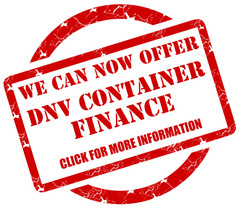 If you have any other DNV requirements please contact Lion Containers (Offshore) Ltd today. Our Mud Skips/ Cutting Bins provide an efficient and safe way to transport drilling waste from your site to a site for treatment or disposal. These units are designed and manufactured to DNV2.7-1 / EN12079 and complete with certified slings and shackles. The rigid construction of these units prioritises safety at all times, even when stacked two high the sling on the upper skip is easily accessible. The large lid is light weight to ensure easy lifting and it has the ability to fill the unit to maximum. The dimensions given below are for reference only, they represent the sizes, weights, colours and specifications of our most common off-shore containers. It is quite common for us to use a different manufacturer and therefore all dimensions. colours, weights and sizes can change quite considerably. Your sales contact will confirm the exact specification of your offshore equipment with you prior to delivery.